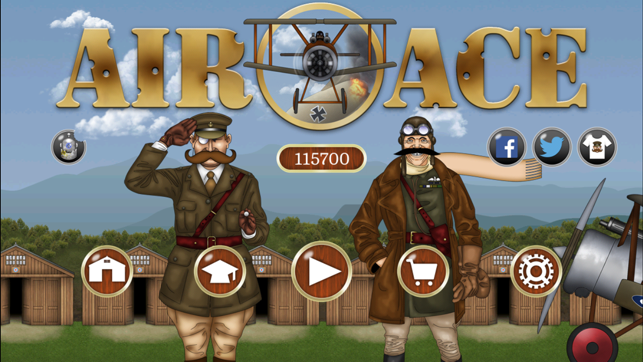 Welcome to Air Ace. 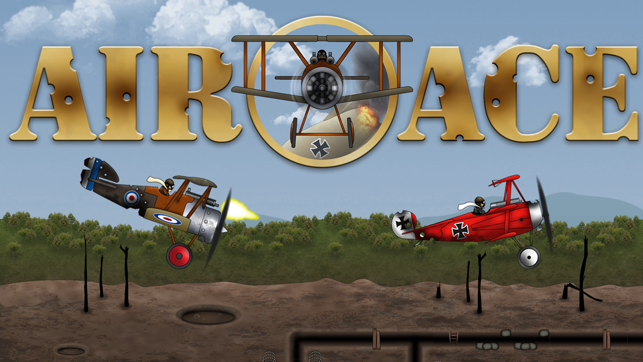 An exciting and addictive game of World War 1 aerial combat!! Meet our hero, Percy Plantagenet Sommerset-Smythe! Just one look at his magnificent moustache tells you all you need to know about this fine fellow! He’s got pluck you see! Follow Percy’s adventures through multiple campaigns from the Western Front, to the frozen hell of the Eastern Front, through to the searing heat of the Northern Desert. 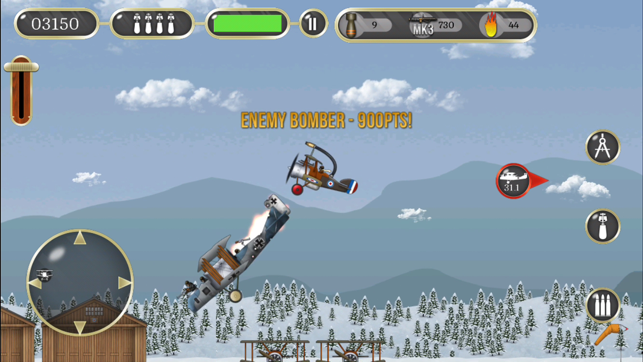 Destroy ground and aerial targets. 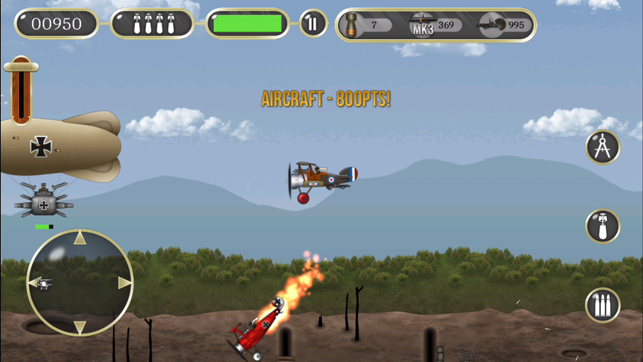 Take out Trenches, Bunkers, Balloons to Bombers and much more! Watch out for escorting fighters. The cursed Fokker scourge!!! Your commander, Major Barkington will guide you along the way! Earn Points as you go which can be used to purchase upgrades for your “kite” in the Hangar. Upgrade machine guns, bombs and armour. Don’t forget Special Weapons: Rear Firing Machine Guns, Oil Cannon and Flame Thrower! Just the thing for those “sticky wickets”! - Ground and aerial target missions. Each mission getting increasingly more challenging! 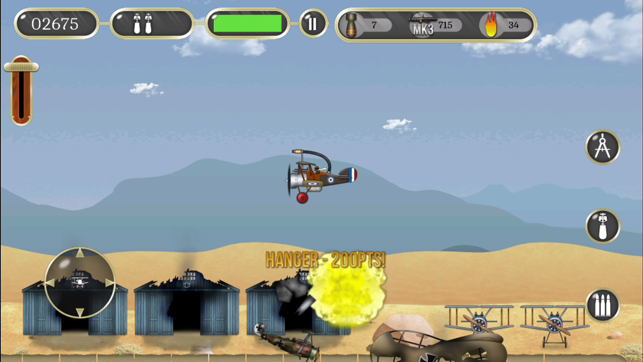 - Earn Points to upgrade your “kite” in the Hangar: Machine Guns, Bombs, Armour and Special Weapons. Updated libraries. Minor bug fixes and enhancements. Myself and the kids really enjoy this game. Great graphics, can't put it down.